Like Julia, I was blind too. What can be considered more blind than not seeing that samsara is imperfect and full of suffering? It was a miracle that I could see you with my blind eyes. Your love for me was so sharp. Like the sun’s rays, it directly penetrated into my heart – through blind, disabled eyes. That love made you my valentine. I have seen from you a distance, but I have not reached you yet. I must have some weird karma. That’s why I was born and brought up in a kingdom where no one could tell me how to get you. It was even a crime to confess my love for you. But you know what, I did not need any paper or stamps to send you the message. My mind was my post office. You must have got my letter saying how eagerly I was waiting to see you, to know the way to your home. I was sad. Where could I find that cupid in my kingdom! You taught we have countless lives and our karma determines our lives. I thought that I was probably one of the soldiers who destroyed Nalanda in ancient India. For that, I was born in a kingdom where I will suffer to see you and will never be able to reach you. When my depression reached its peak, you sent me a letter that my karma was not all bad, but had some good merit too. I got an AusAID scholarship for studying in Australia and flew off from Bangladesh. I searched for all the Tibetan Buddhist centers in Perth and finally called one to find their location. The lady said, “Dear, it is far away from your place, but I can give you the address of the nearest one from your student housing.” At last, I got the address of the cupid’s palace! One evening, I reached one of the palaces of the cupid – Hayagriva Buddhist Centre. Since then, the cupid has been showing me the ways to walk towards you. I have also been to the cupid’s main gorgeous palace – Kopan. 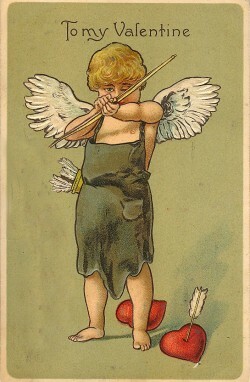 According to some of my friends, the cupid has completely spoiled me. When I was leaving Bangladesh, one of my best friends, Yangdup, called and told me that he will be waiting to hear of my experiences in Australia. After some months, I met him in Nepal. After one hour of conversation, my sixth sense was telling me that something was wrong. “What happened, Yangdup, you look disappointed?” He replied hopelessly, “I was eagerly waiting to hear of your experiences in Australia. I was expecting you would tell how much you were enjoying Australian culture, how you were finding your study, how you will utilize the knowledge when you come back to Bangladesh. But instead, all I have heard over the last hour is Lama Yeshe, and Lama Zopa, Lama Zopa and Lama Yeshe; Ven. Dondrub and Ven. Namgyal, Ven. Namgyal and Ven. Dondrub; Hayagriva and Kopan, Kopan and Hayagriva. I am now having doubts about what you are doing in Australia! Are you really studying there, or doing all this Buddhist stuff?” I wanted to say something, but it seemed he just wanted to exhaust all his disappointments in one breath, and so I let him go – “I feel pity for the Australian government. They have given this scholarship to the wrong person. They should give it to someone else who would use this opportunity for learning knowledge, not for practicing Buddhism.” Finally, he stopped with a big sigh. Later, while I was discussing this issue with my Chinese friend Yen, she told me something – “You know Naomi, you don’t need a boyfriend, ‘cause Lord Buddha is your boyfriend.” I really feel happy when people acknowledge my relationship with Lord Buddha. I hope one day my parents will accept it too. Some of my friends think I was half-crazy before but that the cupid has made me full-crazy. I cannot blame them. Some words mean one thing to them, something else to me. Since I got the AusAID scholarship, the AusAID office’s message was kind of programmed into my mind, body and speech: “I am from Bangladesh, Bangladesh is my home. I am in Australia for learning and study. After study I have to go back and work for the people of Bangladesh and assist the Australian government’s policy towards Bangladesh.” But when I came across FPMT, the implications of these words got changed so radically! Ven. Dondrub’s teaching in Hayagriva, Ven. Namgyal’s teaching and Lama Lhundrup’s words in Kopan, gradually, silently, but very strongly, left the imprint in my mind that Bangladesh is not my home. In fact, the whole of samsara is not my home. My home is in your home. I know it’s a long way to reach home to meet my enlightened beloved in emptiness, maybe countless lives more. But in this lifetime, when I pray to you, I don’t forget to dedicate lots of positive energy to FPMT for being my journey, my path and my cupid. Naomi Sharin, a Bangladeshi, is a student of Hayagriva Buddhist Centre in Perth, Australia. Over 90% of Bangladeshis identify as Muslim with less than 1% of the total population as Buddhist.